Don't let stiff and achy joints keep your dog from enjoying the freedom of mobility. 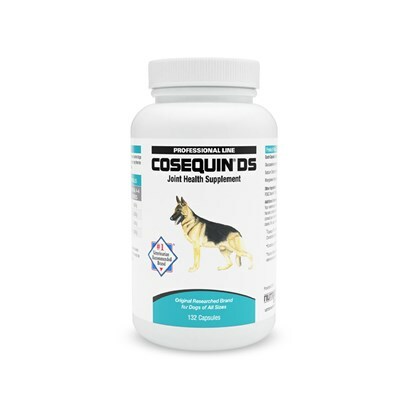 Cosequin Double Strength will help keep your dog doing moving and healthy. Rated 5 out of 5 by 32 reviewers. This product is very effective for my pets. I ordered the wrong variety. COSEQUIN DOUBLE STRENGTH IS RIGHT! Much improvement - Your Dog Diserves to feel it's best! Works great for our dog!